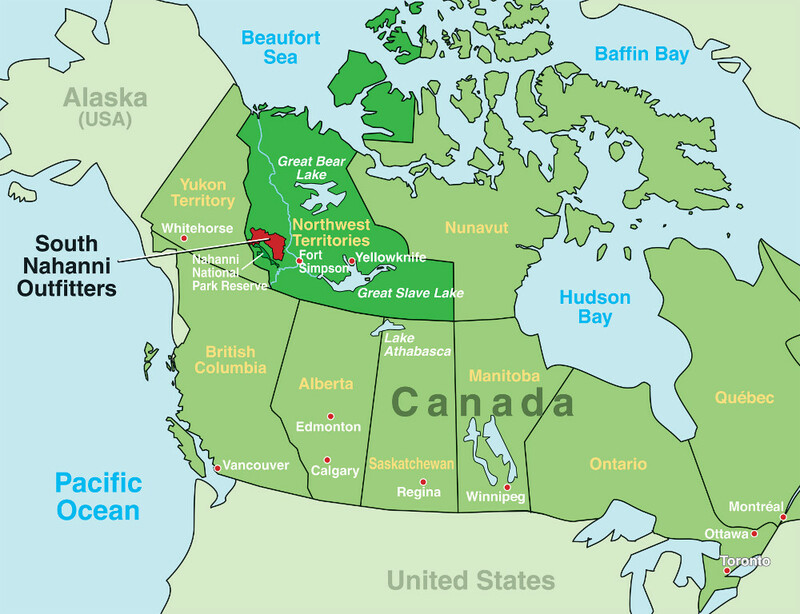 South Nahanni Outfitters operates within the safe boundaries of our own hunting concession in NWT; on 8,500 square miles, or 1.8 million hectares. The hunting area is so vast it swallows Yellowstone National Park twice and more; larger than a small European country like Slovenia. Flying over this space, this hunting concession, in a bush plane will take you one and one half hours from east to west or one hour from north to south. Endless northern Canadian topography undulates under the wings of the plane or the blades of the helicopter, forming a mosaic of perfect habitats that allow for excellent big game hunts in an untouched land. 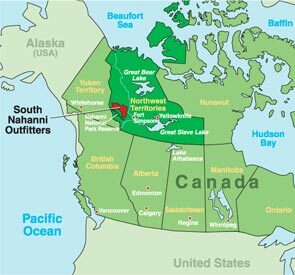 There are no roads, no people, no towns in this part of Northern Canada. There is no trace of humans, just space, hundreds of thousands of acres of space. Space to hunt in; following game trails, which have scribbled their lines over the mountain sides for thousands of years. We are alone in that space of South Nahanni, in the hunting concession. No other outfitters, guides or clients are allowed to hunt within our area, making us alone the stewards of South Nahanni. Resident hunters can hunt here, but the difficult and expensive access keeps this a remote wilderness. Being able to govern our own game populations without outside influence, coupled with our selective hunting techniques made possible through our helicopter transportation, results in continuous good trophy qualities, extremely high success rates and splendid wilderness hunting. Experience it!